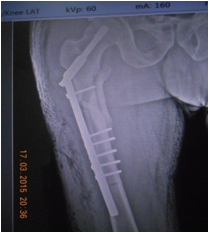 *Corresponding Author: Sid Ahmed Mohamed Limam, orthopedic surgeon, Traumatology-Orthopedic and Reconstructive Unit, Sheikh Zayed’s Hospital, Nuakchott, Mauritania. Animal related injuries are a major and neglect cause of trauma, they are associated with a high incidence of morbidity and mortality worldwide. Camel-related injuries have been less well studied than others. We aim to retrospectively study the mechanism and distribution of injury of patients admitted to our hospitals for camel-related trauma in Nouakchott, capital of Mauritania. There were 28 male patients; the mean age was 38 years old. The most common location was cervical spine with 16 among 28 cases. Camel-related injuries are not rare in our daily practice. They occur most often in camel caregivers, especially camel trainers. For centuries, Camels was the only means of transport in the Sahelo-Saharan belt, including Mauritania. The camel is an animal known for its strength and endurance; the nomad considers him a reliable partner during his journey. It is the fourth millennium BC to the Arabian Peninsula; that the domestication of this animal took the first place (Figure 1). 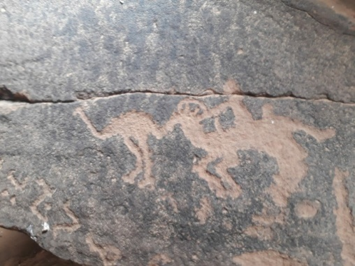 Figure 1: Cave painting showing a camel around Oualata (a historic Mauritanian city). Camel training is a crucial step in the life of the animal and its owner; to make it useful. It is entrusted to a particular category of peasants; it is a real struggle opposing the strength of the trainer to that of the animal. The objective of our work was to study epidemiologically the trauma caused by the fall of camel in Mauritania and to deduce the mechanisms of lesion for a better prevention. 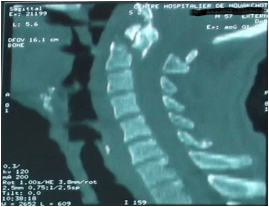 It was a descriptive, multicenter, 5-year retrospective study from January 2013 to December 2017; carried out in the Trauma-Orthopedic and reconstructive Surgery unit of the Sheikh Zayed’s Hospital in collaboration with the Neurosurgery unit at the National Hospital Center in Mauritania., The study concerned all the patients who had suffered an accident related to the fall of 'a camel ; recognized as such by the health care team and presented to one of the authors with filling of an information sheet pre-established for this purpose by the authors. 28 patients, all male were listed over a period of 5 years, the average age was 38 years with extremes of 26 and 58 years. The lesions found were: Upper cervical spine: 7 cases; including 5 fractures of the odontoid process and 2 pedicle fractures of C2 (Figure 2). 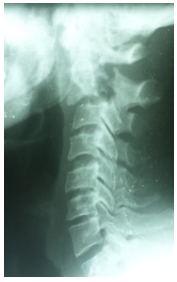 The lower cervical spine: 9 cases (Figure 3). The scapular girdle: 3 cases, including 1 acromioclavicular dislocation and 2 shoulder contusions. Upper limb: 3 cases; including 2 wrist fractures and 1 isolated ulna fracture. The lower limb: 6 cases; including two femur fractures, one leg clash, two acetabulum fractures and one malleolar fracture. Figure 2a: Fracture of the odontoid process. Figure 2c: 3 Months control. 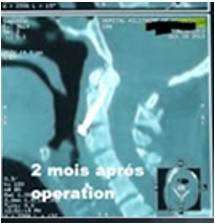 Figure 2: Fracture of the odontoid process. Figure 3a: Fracture of C2 pedicle. Figure 3c: Post opérative control. Figure 3: Fracture of the C2 pedicle (Hangman fracture). Traumatic injuries caused by animals are a major public health problem in the world; in marked progression but often neglected . They cause a heavy morbidity and mortality. These lesions depend on the regional distribution of animals, their anatomy, their behavior and their relationship with humans . The camel is a domestic animal; who usually obeys his owner; but it remains unpredictable especially during periods of mating. The camel remains one of the largest domestic animals with a height of about 2 meters at the shoulders and a weight that is around 600 kg in adults. He becomes a serious enemy to the man able to hurt him even to kill him . Camel-related trauma remains less studied than that caused by other animals . In the Europe and northAmerica, trauma related to domestic animals is dominated by dogs, cattle and cats . Ostenallo et al. In Italy found that 76.9% of animal-related injuries were caused by dogs, compared to 19.7% caused by cats . Gilyoma et al. In Tanzania found that 61% of animal-related injuries were caused by dogs, followed by cattle at 3.3% and cats at 2% . The incidence of injuries related to these animals remains unknown in the world; but 80% of the animal-related injuries in Saudi Arabia are caused by camels, but only 25% in Nigeria . In the United Arab Emirates; the camel remains the most pouring animal of trauma at 83% . 7 people per 100,000 inhabitants per year would be victims of a traumatic injury caused by a dromedary, one in ten victims would be a child . In Mauritania, massively desert country which shelters more than one million heads of these mammals; no study of these traumas has been done; to our knowledge to date. Traumatic lesions occur in our context generally among nomads, who use camels as a means of transportation in hard-to-reach areas and for their movements in search of water and pasture, as well as for food and health evacuation. (Figure 4). In the country of the Arabic Peninsula; these traumas occur in children used as jockeys in camel racing, races that are too popular with local people. These children were replaced by robots in 2005; after complaints about the use of young children and resulted in compensation [1,8]. 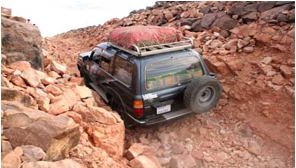 Figure 4a: Easy and inexpensive access to difficult and remote areas. Figure 4b: Caravans of the nomads on the move. 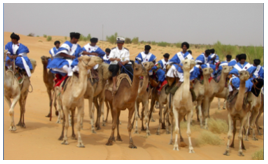 Figure 4c: Nomadic grouping of the National Guard: contingent of the police, worn on camels that provide the administration with security and medical care of the nomads. Figure 4: Interest of the camel among the nomads. The victims in our series were all adult men; the same observation has been reiterated by the rare publications on the subject [1,2,8]. In contrast to the countries of the Arab Peninsula where trauma is due to an entertainment practice, in Mauritania the victims are peasants who injure themselves by vacating their daily activities. Camel shooting is the most common mechanism and leads to severe head, neck, thoracic and maxillofacial trauma [1,4]; followed by the Camel Falls, which cause spinal trauma especially cervical, Bites are found mostly during the mating period; they cause very serious maxillofacial and vertebral-medullary trauma, see mortal [1,4,5,7]. And in the end camel collisions with vehicles; which mainly cause spinal lesions [1,2]. Our work has described a new mechanism; the projection which occur especially in the the camel trainers and which can be accompanied by kicks; it resulted in comminuted peripheral lesions: clash of leg, femur, acetabulum and wrist. All 28 cases in our series were victims of a camel fall; of which 10 cases occurred in camel trainers by projection. In our series, the falls resulted in axial skeletal trauma and the projections resulted in appendicular skeletal trauma, which is often comminuted (Figure 5). Figure 5b: Postoperative control after setting up a long DHS plate screws. 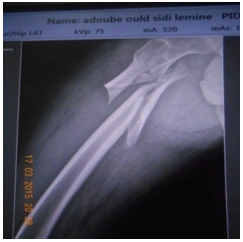 Figure 5: Communited fracture of femur in a young camel trainer. 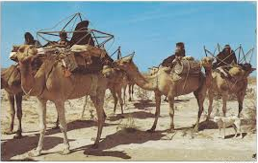 The trauma by fall on camel are common in our context, they are especially the prerogative of nomadic populations. The traumatic lesions secondary to the fall of camel are dominated by the axial skeleton lesions, whereas the projections give more lesions of the appendicular skeleton. All patients were previously informed that they will be part of this study and have given their consent. What is known about this subject? Traumatic injuries caused by animalscauses the major public health problem. Camel-related trauma remains less studied than that caused by other animals. What does our study bring up? Camel trauma is not uncommon in our context. A new mechanism has been described: the projections especially the prerogative of the camel trainers, they give more lesions of the appendicular skeleton. Fikri M. Abu-Zidane, Ashraf F. Hefny, Hani O. Eid, MasoudO.Bashir, Franck J. Branicki. (2012). Camel-Releated injuries: Prospective Study of 212 Patients. World J Surg: 36: 2384-2389. DOI 10.1007|s 00268-012-1637-2. Rakesh Kine and Satyavrat Arya: (2015). 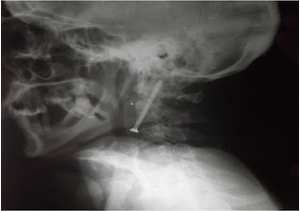 Camel bite: An uncommon mode of maxillofacial injury, its mechanism and fatality: Case series and review of literature. Natl J MaxillofacSurg. Jul-Dec; 6(2): 172-175. Abu-Zidan FM1, Eid HO, Hefny AF, Bashir MO, Branicki F. (2011). Camel bite injuries in United Arab Emirates: a 6 year prospective study. Injury. 2012 Sep; 43 (9): 1617-20. F Ostanello, A Gherardi, A Caprioli, L La Placa, A Passini, S Prosperi. (2005). Incidence of injuries caused by dogs and cats treated in emergency departments in a major Italian city. Emerg Med J 22: 260-262. Fikri M. Abu-Zidane, Saleh Abdel-Kader, Radwan AL Husseini. (2014). 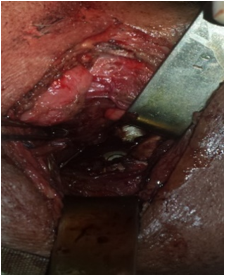 Common carotid artery injurycaused by a camel bite: case report and systematic review of the literature. Ulus Travma AcilCerrahiDerg, January. Akthar Nawaz, Hilal Matta, Mustapha Hamchou, AlicJacobsz, Ahmed H. Al Salem. (2005). Camel-releated injuries in the pediatric age group. J of Ped Surg 40, 1248-1251. John A Craven, BSc (Hons), BMBS, (2008). Paediatric and adolescent horse-related injuries: Does the mechanism of injury justify a trauma response? Paed Emerg Reg 20(4):357-62. Citation: Sid Ahmed Mohamed Limam, Ahmed Salem Kleib, Abdel Aziz Beyrouk., et al. (2019). Camel fall Trauma: About 28 Cases. Journal of Medical Research and Case Reports 1(1). Copyright: © 2019 Sid Ahmed Mohamed Limam. This is an open-access article distributed under the terms of the Creative Commons Attribution License, which permits unrestricted use, distribution, and reproduction in any medium, provided the original author and source are credited. Oak Ridge Way, Lisle, USA. APX Apartments 8Campbell Street, SYDNEY NSW, Australia. Copyrights © 2019 All Rights Reserved by eScientific Publishers.